For nearly 20 years, I suffered from a gambling addiction. It impacted on every aspect of my life, including my mental, physical and emotional wellbeing, relationships, finances and employment. In 2006 I received a suspended prison sentence for criminal offences triggered by my gambling addiction. This led to huge changes to my life and I went into a programme of successful recovery. I developed a career in social care and took various counselling and therapeutic related courses. I worked for a mental health centre, a drug/alcohol agency and volunteered for several organisations. 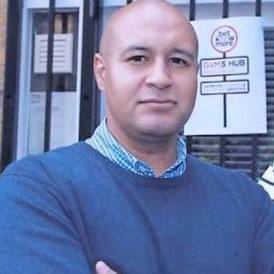 In 2007 I was given the opportunity to work for the YMCA and given the task to develop and manage new outreach projects, with the aim of providing 1:1 support and mentoring to young offenders and NEETS. In 2013 I began the planning process for Betknowmore UK, it is more than a job, it is a passion; I am hugely personally committed to its success - I have first-hand experience of how devastating gambling addiction can be, to the individual, those around them and to the wider community. I am a supporter of social enterprise and believe communities thrive when given the resources and tools to co-produce the services and infrastructure they need.